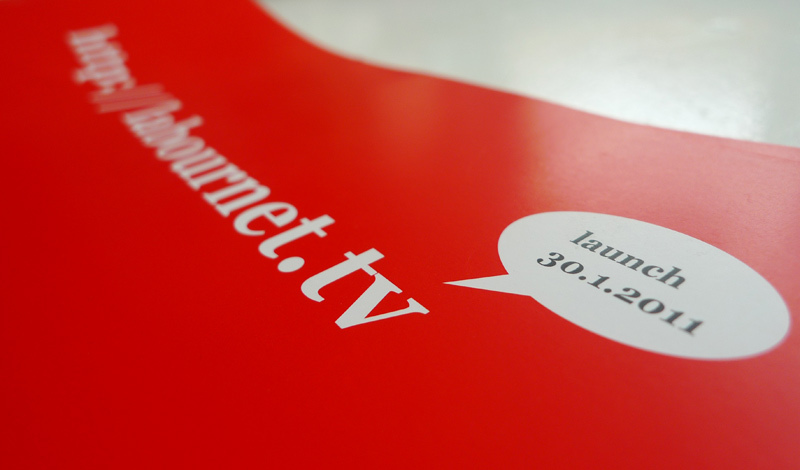 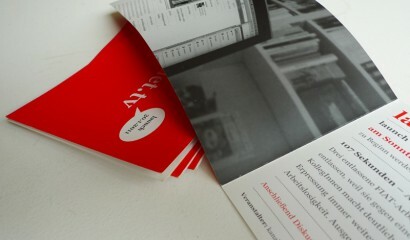 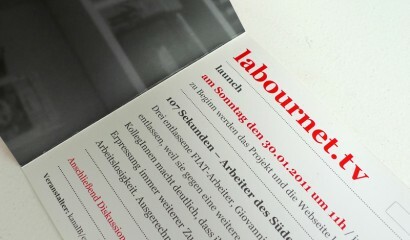 for labournet.tv we designd flyers and the website. 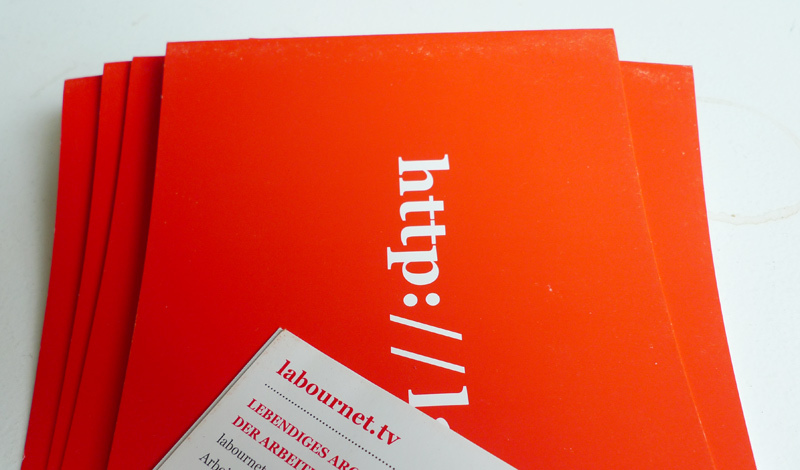 read the mission statement by the labournet.tv team:labournet.tv is a living audiovisual archive of the labour movement. 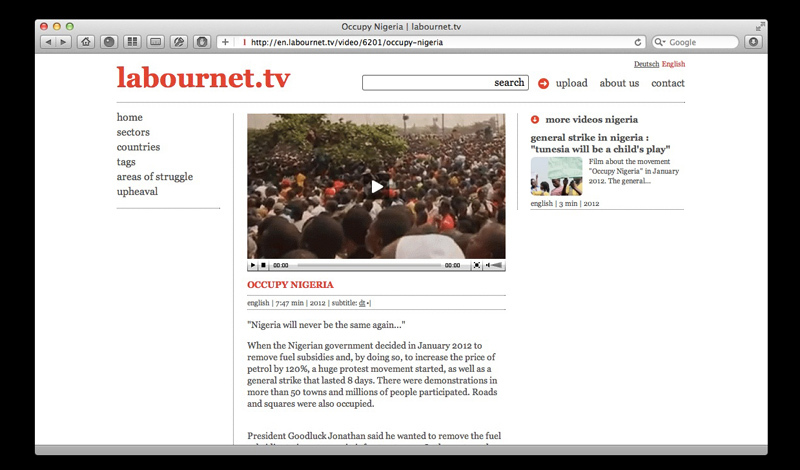 we consider ourselves part of a movement with the aim of fundamentally changing social relations. 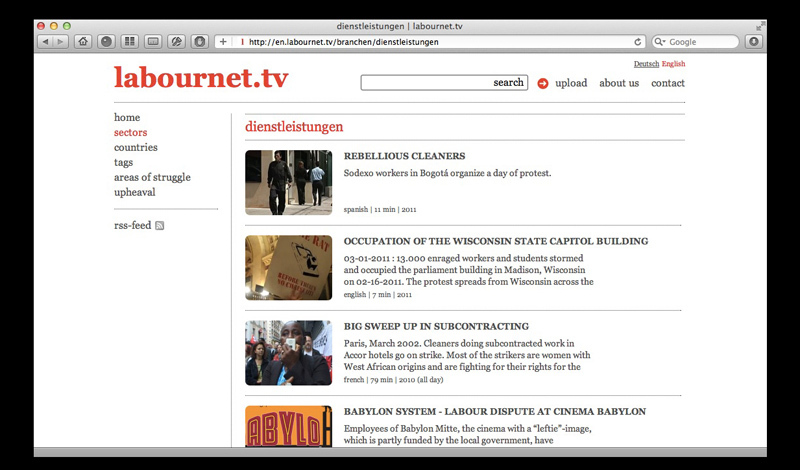 the internet is our means to promote an exchange of experiences, a process of learning from past struggles, and solidarity. for this purpose, present-day and historical films from all continents are collected. our focus is on the situation of the workers, their (self-) organization, labour disputes and working conditions, and ideas for social alternatives. 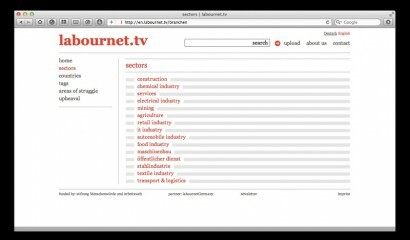 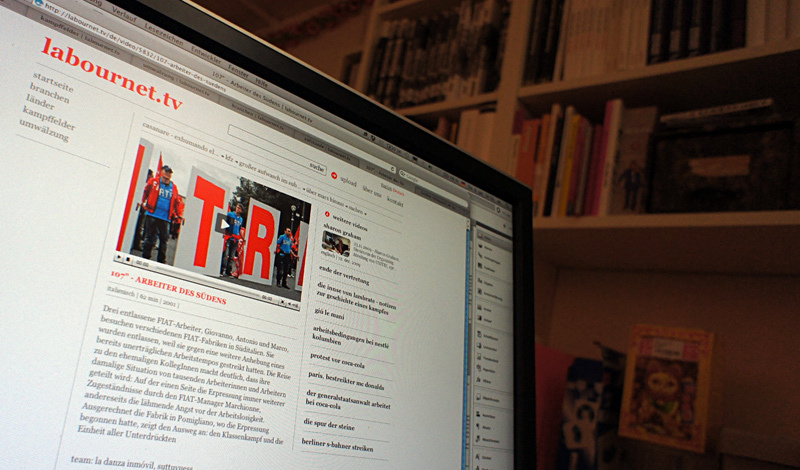 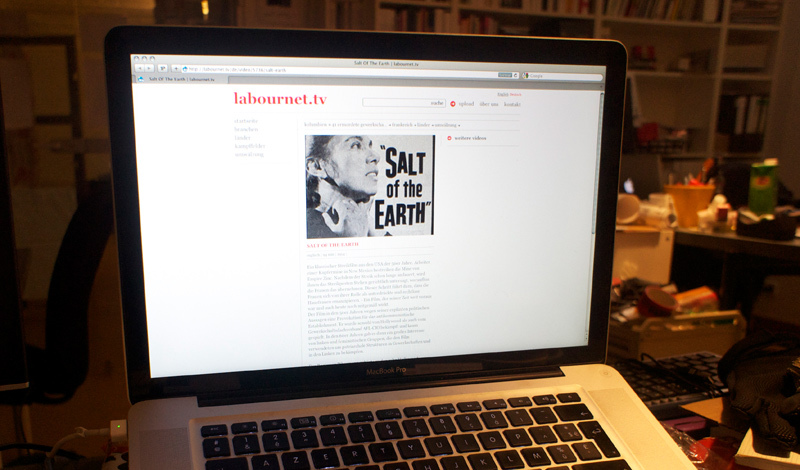 labournet.tv also produces its own contributions concerning current events, in order to make visible current struggles and the perspective of the working population. 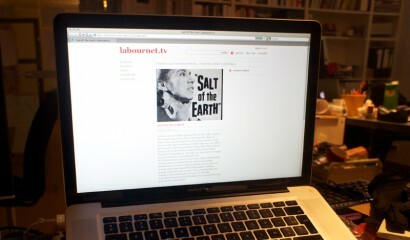 films that take the workers’ perspective, and give them a platform to speak, convey important experiences. 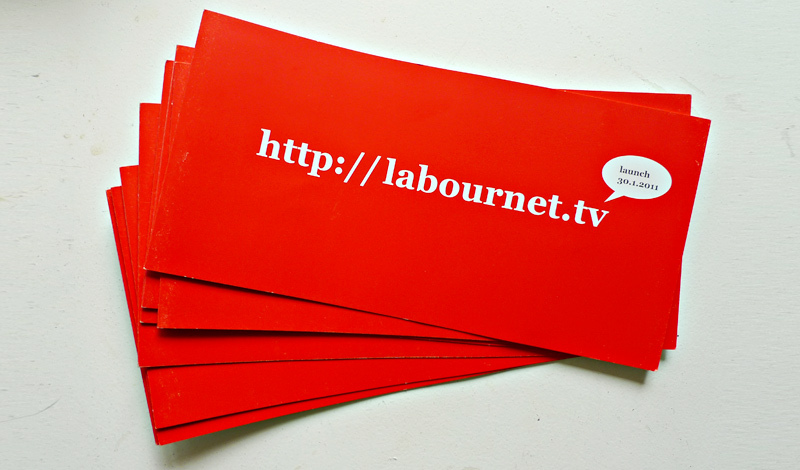 labournet.tv will collect these films, which so far can only be found with difficulties, e.g. on commercial video platforms or in inaccessible archives, and make them available for free.